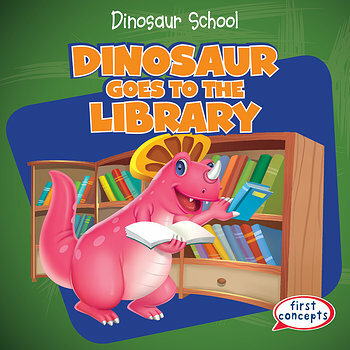 These dino friends learn a library is full of more than just books in this exciting title. Once they get their library cards and start exploring, they find lots of media to enjoy. From books about dogs to their favorite music or newspapers, these dinosaurs are surprised to learn the stacks even hold some of their favorite movies. With the help of a friendly dino librarian, they borrow some books so they can keep learning even after they leave the library. Once they bring those books back, though, they’ll be able to check out more fun stuff at the local library!